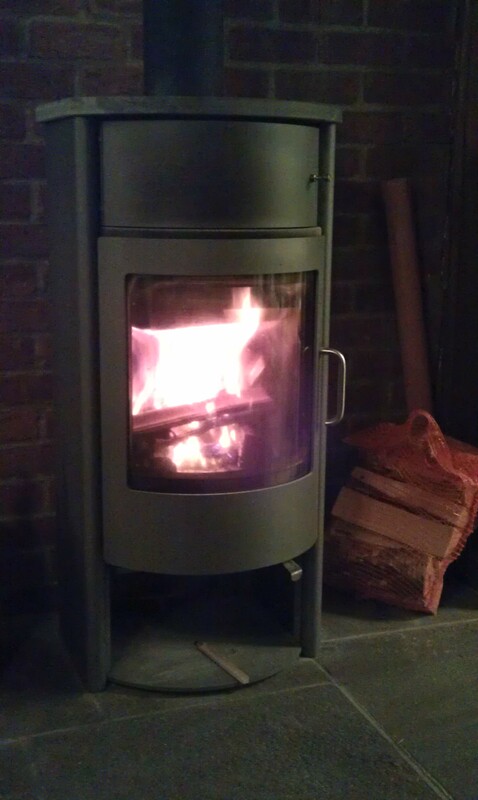 Quick, the kids are sleeping! This dinner was a perfect combination of healthy, delicious and fast! 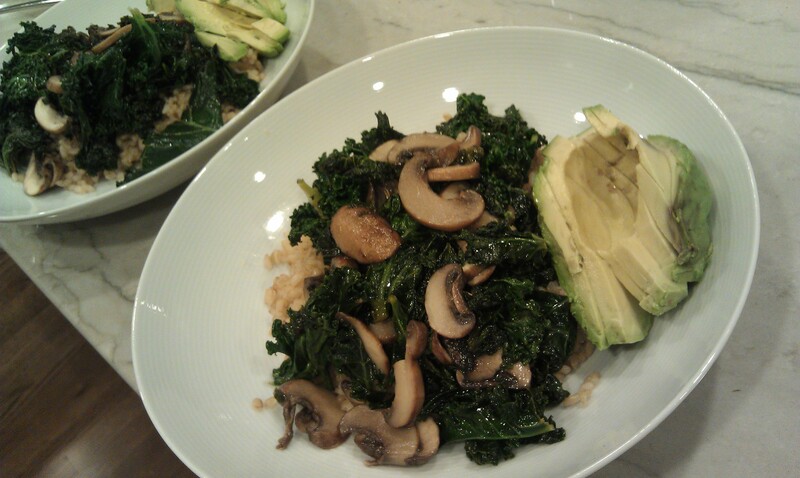 Leftover brown rice and a quick mushroom and kale stir-fry in the wok. Yum! The avocado was amazing on the side. First off, doesn’t avocado make everything taste better? and then with the sriracha in the kale the avocado was a nice cooling element. 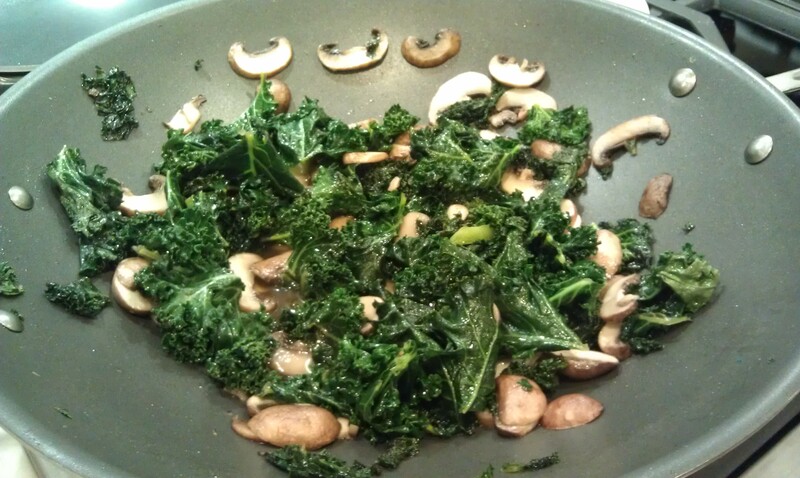 In a wok or large frying pan heat the olive oil over medium heat and add the kale, mirin and white wine. Using tongs toss to coat and keep cooking kale to cook it down (3-5 minutes). Add the mushrooms and cook another 3 minutes till they become soft. Add sriracha and salt to taste. Plate over brown rice and slice avocado on the side.